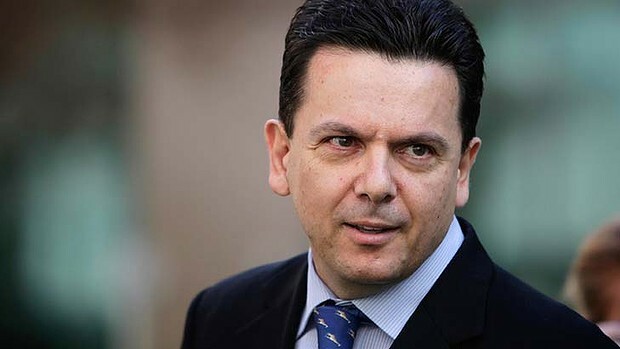 Nick Xenophon – SA’s favourite Greek – slams the ludicrous Ceres project. SA’s favourite Greek, Senator Nick Xenophon has teamed up with Frontier Economics’ Danny Price to absolutely hammer the ludicrous plan to spear 197 giant fans into SA’s agricultural Heartland on Yorke Peninsula. While we noted yesterday that the chances that the Ceres project will ever be built are slimmer than a German supermodel – when it comes to planned fan fiascos – it always pays to drive a stake through the heart. And that’s just what Nick and Danny are out to do with the Ceres project. Here’s Adelaide’s local rag, The Advertiser on what just has to be the most ridiculous windfarm ever proposed. COMMUNITY groups and anti wind farm campaigners have slammed the State Government’s decision to approve a huge project on the Yorke Peninsula, claiming an overreliance on wind energy will lock South Australians into the highest electricity prices in the country. The $1.5 billion Ceres project was given planning approval last week, paving the way for German turbine manufacturer Senvion to build 197 turbines across 18,000ha of land near Black Point. But Independent SA Senator Nick Xenophon has labelled the decision as “reckless” and an “economic kick in the guts” for South Australian consumers. “South Australia has put too many eggs in the wind energy basket,” he said. Energy market analyst Danny Price of Frontier Economics said intermittency issues associated with wind power created price volatility in the wholesale electricity market. “Rather than suppressing prices, the risk premium that retailers have to pay generators increases,” he said. Heartland Farmers spokeswoman Tania Stock blamed the Federal Government’s Renewable Energy Target (RET) scheme for incentivising projects like Ceres. 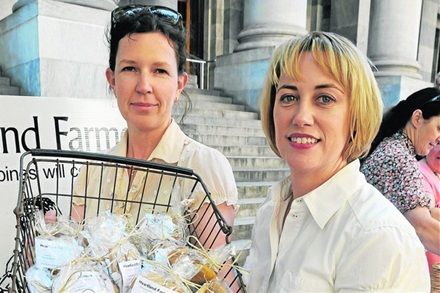 “The Ceres proposal is a highly speculative, highly tax payer subsidised project,” she said. “SA’s 1203MW of capacity has struggled to produce even 50MW of power during periods of peak demand, notwithstanding that its turbines are spread from Cathedral Rocks and Cleve on the Eyre Peninsula to Jamestown and Snowtown in the Mid North and Millicent in the South East,” she said. 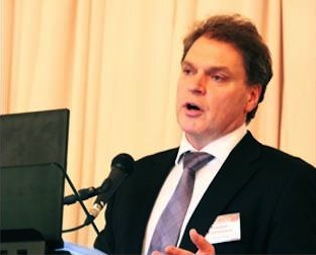 Black Point Progress Association deputy chairman and prominent South Australian businessman Roger Sexton said the RET scheme acted as a tax on consumers. “The energy retailers are forced to take on wind power at prices which are around four times the cost of conventional gas or coal fired power and these higher costs are added directly to the power bills of consumers,” he said. However, Clean Energy Council chief executive David Green welcomed the Ceres approval, saying it will deliver substantial economic benefits to the state. “The Renewable Energy Target is due to be reviewed this year and if left alone to do its job, will continue to provide an incentive for clean energy projects such as Ceres that provide hundreds of direct and flow-on jobs for the local economy,” he said. STT says: “hats off, Tania Stock”. Tania gets 10 out of 10 for her knowledge of energy market fundamentals. And scores bonus points for recognising that adding a further 600 MW of capacity to SA’s existing 1,203 MW would make absolutely no difference to wind power output when the wind stops blowing and wind power output collapses every day of the year and – on plenty of occasions – for days on end (see our post here). Heartland Heroines: Naomi Bittner (left) & Tania Stock (right). We love the Clean Energy Council’s David Green’s feeble claim that the Ceres project “will deliver substantial economic benefits to the state” – strangely though, he couldn’t nominate even ONE genuine, lasting benefit. Funny about that. Sure, there would be some construction work generated by the project (the outfit behind it claims 500 jobs involved in construction) – the question is, at what cost to power consumers and the broader economy? (see below). Close to half of the estimated construction cost of $1.5 billion will be chewed up paying for the 197 turbines which will cost over $3 million each. The fans in question will be built in China and India – so Ceres won’t create any manufacturing jobs to replace those lost at the almost defunct carmaker General Motors Holden. GMH currently employs around 1,600 directly and several thousand more are employed supplying components to GMH. Of course, one of the factors that is killing manufacturing in SA is the fact that it already has the highest power prices in the world (see our posts here and here). After construction is completed only a handful of on-going jobs will be created (the outfit pushing it claims 50 jobs would be created) – and those jobs will be involved with the operation of the wind farm controlled remotely from Adelaide. So what about the costs to power consumers and taxpayers? The capital investment here is said to be $1.5 billion. Any investor naturally looks for a return on a capital investment. Ideally, that return exceeds bank interest and – if there is any risk involved – accounts for that risk by way of higher returns. Investors in wind farm projects aim for a gross return on the capital invested in the order of 20% per annum. That means any investor in the Ceres project will be looking to recover $300 million from power consumers each and every year to achieve that level of return – returns on wind power investments can only be recouped via income received from power sales – there is NO other source of revenue. A fair slice of the $300 million annual return on investment required would be recouped in the form of Renewable Energy Certificates (RECs). At the moment a REC is trading around $30, down from $35 late last year – they have traded over $60 in the past. Assuming that the Renewable Energy legislation and the Renewable Energy Target remains the same the price for RECs is forecast to rise to $90. This is because – under the mandatory RET – retailers have the choice of either buying RECs or paying the “shortfall charge” – which is currently $65 for every MW/h the retailer falls short of the fixed target (see our post here). Because the shortfall charge is – in effect – a fine – the retailer is not entitled to claim the cost of paying the shortfall charge as a legitimate business expense – it is not, therefore, tax-deductible. However, purchasing RECs is considered a legitimate business expense and is tax-deductible. As a result, the REC brings with it an income tax benefit – worth roughly 1/3 of its value. On that basis, a retailer will happily pay up to 30% more for a REC than the cost of the shortfall charge. It’s that relationship that suggests the REC will reach around $90 by 2020 – when the mandated target has its maximum effect. The Ceres plan involves 197 turbines of 3.4 MW capacity. A REC is issued for each MW of wind power delivered to the grid. Each turbine – if it operated 24 hours a day, 7 days a week – would receive 29,784 RECs. Assuming, generously, a capacity factor of 35% (the cowboys backing it wildly claim more than that) each turbine will receive 10,424 RECs annually. At the current price of $30 each turbine would earn $312,732 worth of RECs each year – which means the project as a whole would receive $61,608,204 worth of RECs in a single year. The REC subsidy received by wind power generators is added to all Australian power bills – and is, therefore, a Federal Tax on all Australian electricity consumers. So, at current REC prices, Ceres would automatically add nearly $62 million to South Australian’s already crippling power bills. Roll the clock forward – and by 2020 – with RECs worth $90 – a single Ceres turbine would be receiving $938,160 – which means the project as a whole would receive $180,817,752 worth of RECs in a single year. But the REC subsidy doesn’t last for just a single year. Oh no – under the current policy – the REC Tax/Subsidy continues to flow until 2031. That’s right, the subsidy doesn’t last for 1 or 2 years (enough to cover the build costs, say) – a fan slung up today will continue to receive RECs for the next 17 years (1 for each MW dispatched to the grid). The REC Tax/Subsidy for Ceres would add a minimum of $60 million and up to $180 million to South Australian power bills – each and every year until 2031, all by itself. However, as we pointed out above, any investor will need to recoup at least $300 million each and every year on its $1.5 billion investment. The balance will, of course, come from sales to retailers – who will pass on the total cost to power punters, with that cost including the cost of REC Tax/Subsidy paid to the generator. The cost of subsidising wind power is totally INSANE and blows any purported benefits completely out of the window. Were Ceres ever built – power consumers would be subsidising the 50 full-time jobs that might be created to the tune of tens of millions of dollars each. Prizes to followers for the correct answer to the following: based on the REC Tax/Subsidy figures set out above, how much will each of those 50 jobs cost power consumers between 2015 (the claimed start date) and 2031? However, adding $300 million each year to South Australian power bills will simply kill off what’s left of SA’s manufacturing businesses and provide a serious disincentive for mining investment. SA is blessed with an enormous abundance of mineral resources – but the recent boom in mining investment seen in Western Australia and Queensland simply passed it by. SA missed out principally because it has lousy road/rail/port infrastructure – the boring stuff needed to support mineral exports and mineral processing. Although SA Labor was delighted to spend over $600 million re-building an already serviceable cricket/football stadium to allow AFL matches to be played at Adelaide Oval instead of the perfectly functional Footy Park at West Lakes – and $3 billion on a new hospital which won’t add a single new bed to the number currently available. What’s that you say about getting your priorities right? The other reason miners have avoided SA is because it has the highest costs of doing business in Australia, including the fact that it suffers from the highest power prices in Australia and, indeed, the world. These FACTS are not lost on Nick Xenophon – and Danny Price knows them better than anyone else in the Country. With the majority within the Coalition party room howling to scrap the RET – STT’s pretty sure that the cowboys behind Ceres will never get a retailer to sign a Power Purchase Agreement – and without a PPA it will never obtain the finance they need to get the project off the ground. One thing’s for certain though, expect to hear a lot more from Nick Xenophon and Danny Price as the RET review kicks off. Danny Price – loves on-demand renewables – hates giant fans. Reblogged this on Heartland Farmers. The facts outlined by STT should be a wake-up call for everyone. The wind industry fraud and compliant agencies and consultants must be exposed. Litigation is blowing in the wind. The Industrial Wind Turbines Awareness Network now represents the interests of nearly 3,000 people. The numbers have reached what the media refer to as ‘critical mass’ and are a force no longer to be ignored. If there is any justice, Ceres the goddess of agriculture will see these interlopers off. And those things, which deceive by assuming the term ‘farm’ to describe their steel and concrete form, will be banished to the depths of the earth along with their courtiers, never to turn and rise again.